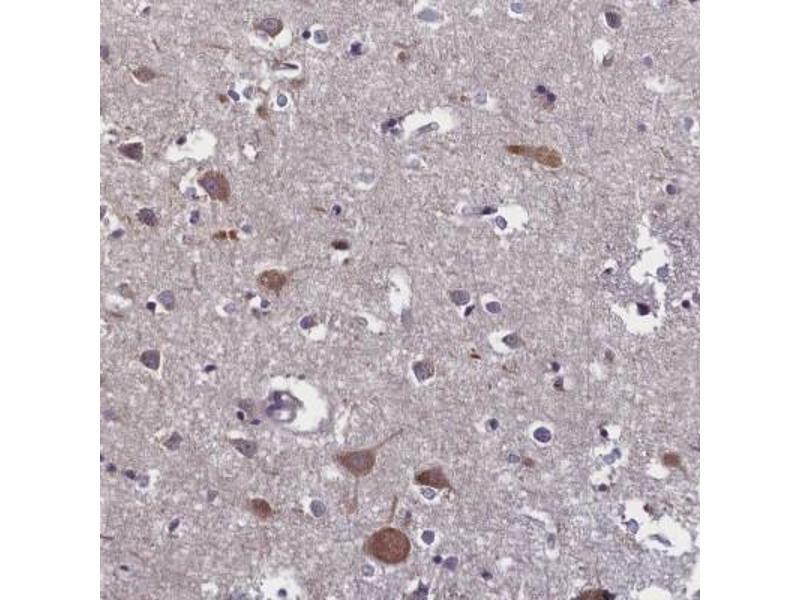 Immunohistochemistry-Paraffin: SUR1 Antibody - Staining of human cerebral cortex shows distinct positivity in neuronal cells. 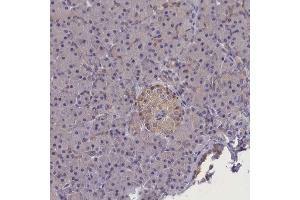 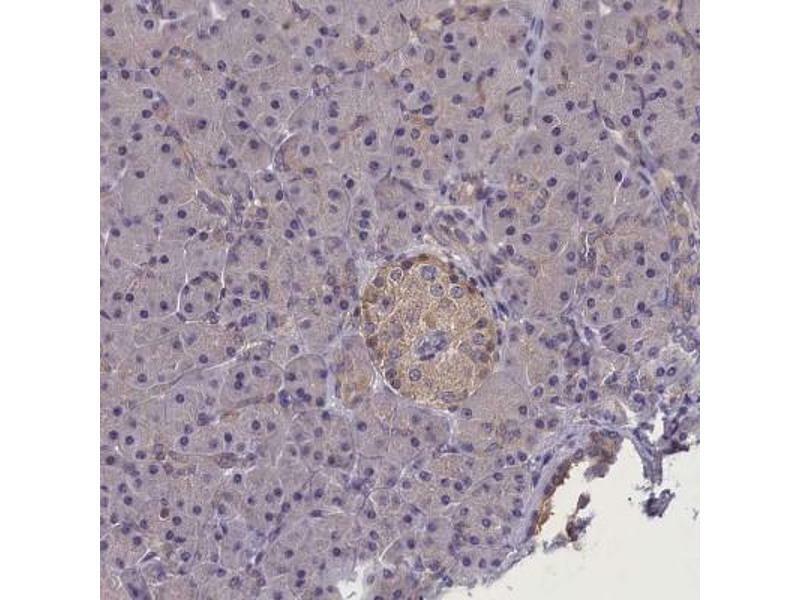 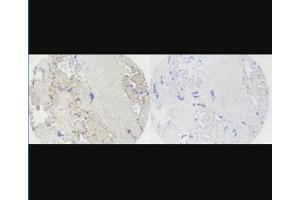 Immunohistochemistry: SUR1 Antibody - IHC using NBP2-34077 at a dilution of 1:50 on FFPE human placenta. 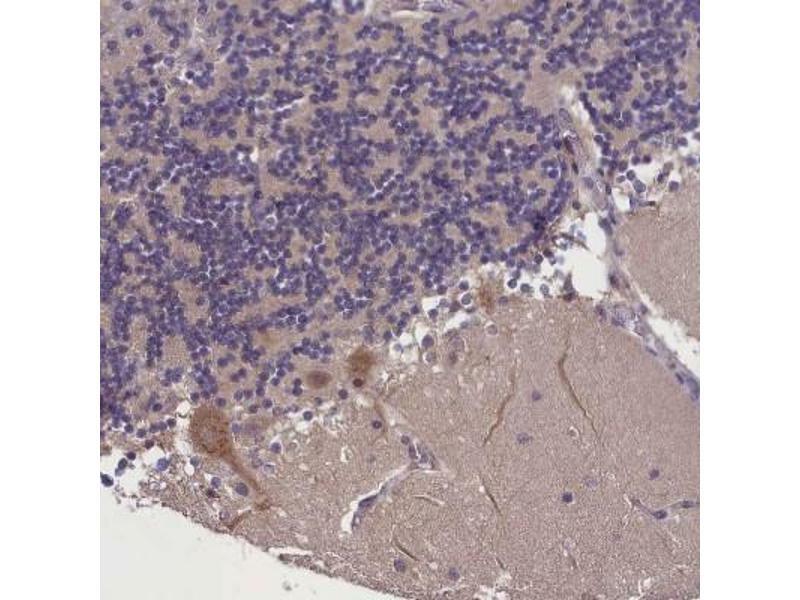 Primary antibody was incubated overnight at 4 C, then secondary HRP conjugate applied for 1 hour RT and visualized with DAB. 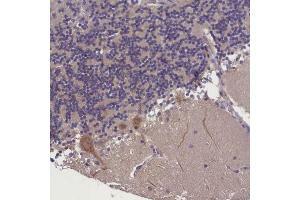 HIER performed with citrate buffer pH 6.0 at 95 C for 15 minutes. Antibody incubation with 10x immunogenic peptide shows no staining. 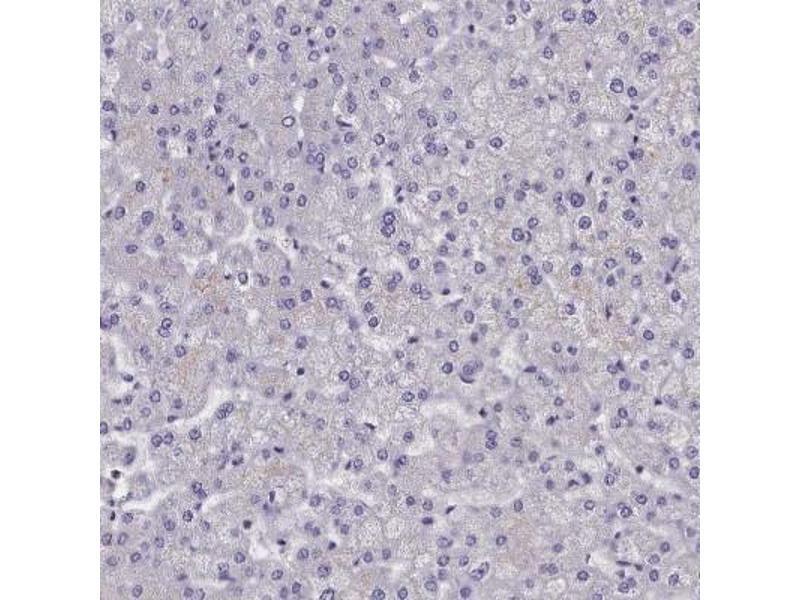 Image is courtesy of a customer review. 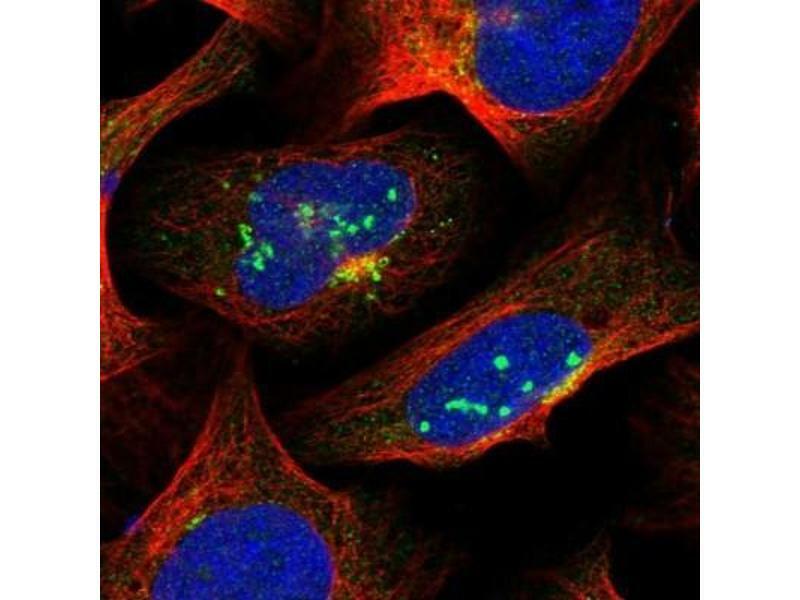 Immunocytochemistry/Immunofluorescence: SUR1 Antibody - Immunofluorescent staining of human cell line U-2 OS shows localization to nucleoli, cytosol & the Golgi apparatus. 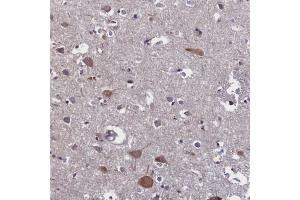 Immunohistochemistry-Paraffin: SUR1 Antibody - Staining in human cerebral cortex and liver tissues.. 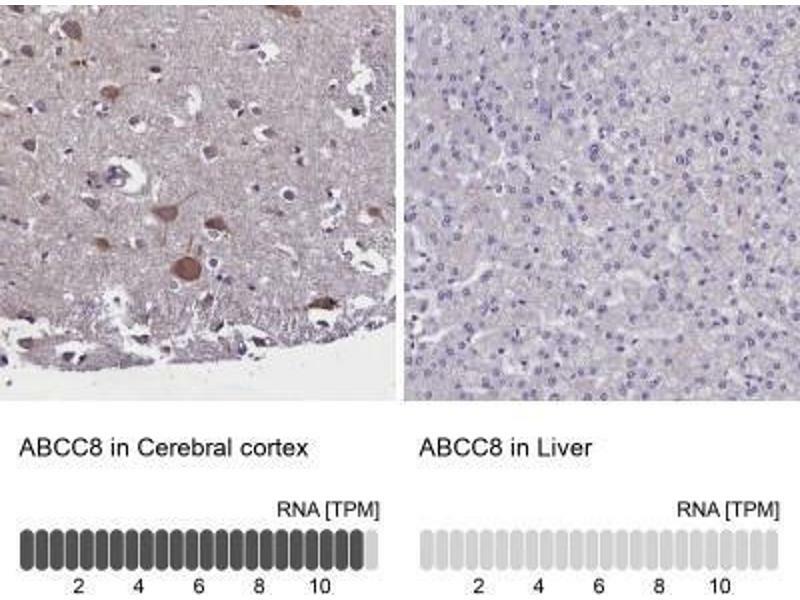 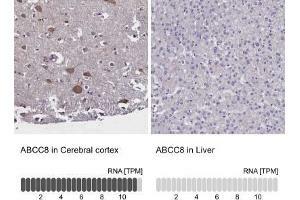 Corresponding ABCC8 RNA-seq data are presented for the same tissues. 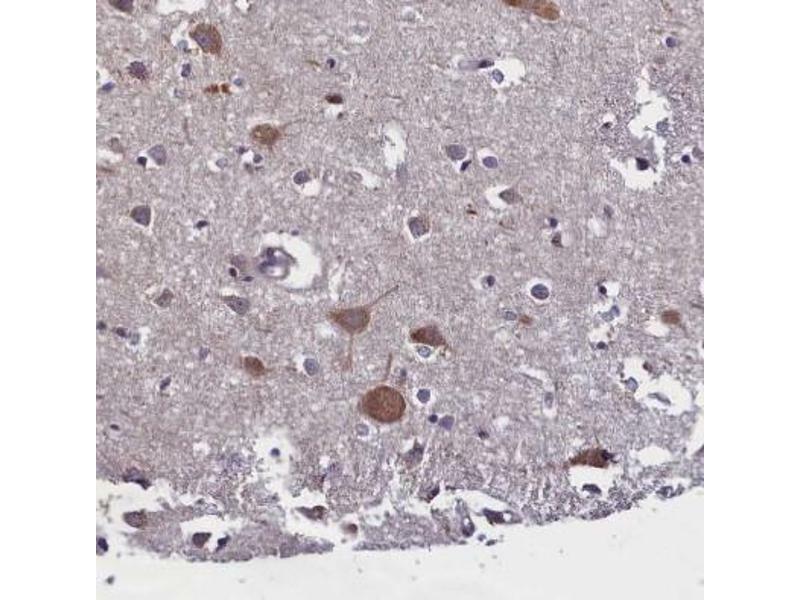 Immunohistochemistry-Paraffin: SUR1 Antibody - Staining of human cerebellum shows strong cytoplasmic positivity in purkinje cells. 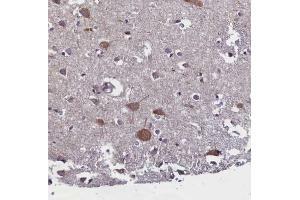 Immunohistochemistry-Paraffin: SUR1 Antibody - Staining of human cerebral cortex shows moderate cytoplasmic positivity in neurons. 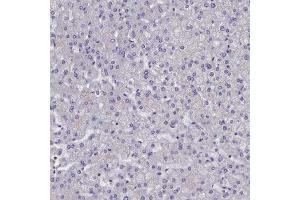 Immunohistochemistry-Paraffin: SUR1 Antibody - Staining of human liver shows no positivity in hepatocytes as expected. 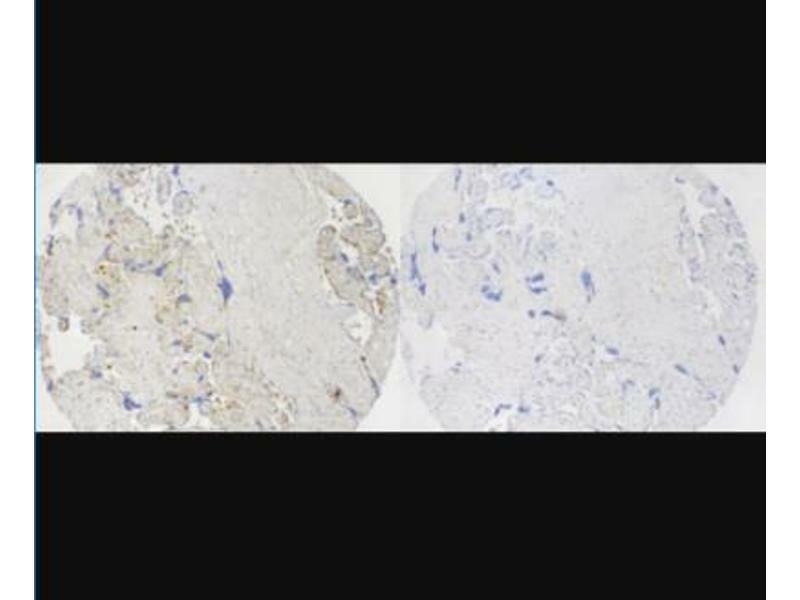 Immunohistochemistry-Paraffin: SUR1 Antibody - Staining of human pancreas shows weak cytoplasmic positivity in islets of Langerhans.